This angelic child came to the Court of Louis XIV, at the tender age of ten and was soon betrothed to Louis’ grandson (who was next in line of succession after his father; Louis'son). 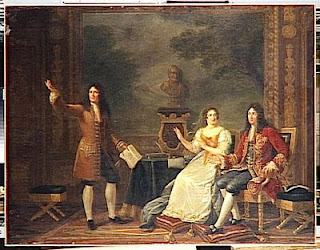 In December 1697 Adelaide married the duc de Bourgogne (Louis’ grandson), as planned. The wonderful exception in this case was that the two were genuinely in love- such a rare thing at the time, especially in the Court of Versailles. Unfortunately the couple had several heartbreaks when it came to forming their family. She suffered four stillborn births to then give birth to two Louis' who died in infancy. Her last living child though, would become King Louis XV, (making her by far an important figure of the times). 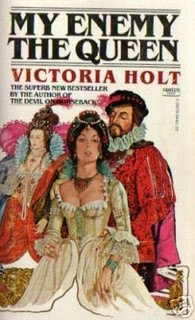 One of these books that I’m currently reading (courtesy of my good friend Arleigh at Historical-fiction.com:) is ‘In The Company of The Courtesan’. So far, I’m totally entertained by this book. And- there’s a plus to this one…it’s based in Venice (that's another reason why Arleigh thought I'd like it)!! I’ll have plenty to rave about in my upcoming review on this one. Le Jeudi de JoJo: Enchanting Winners!!! Thank you all so much for joining me for Josephine’s Birthday! You can’t imagine how happy all of you made me:) I just wish I had tons and tons of gifts for every one of you dear friends. This giveaway was so much fun and I got to meet so many new bloggers with such beautiful blogs. Please if you have the time, go mingle and check all of these people out, fascinating stuff and so much creativity! Special thanks go to Joy at Cupid’s Charm for her wonderful Charm giveaway. I’m sure the lucky winner will be thrilled. Joy is exceptionally talented- her creations are to die for! 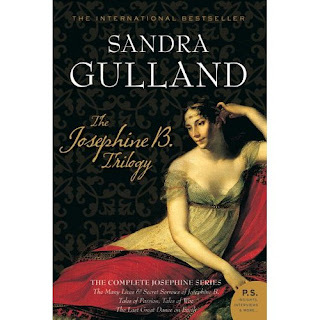 1st Prize: The Josephine Trilogy goes to: Jenny Girl!! 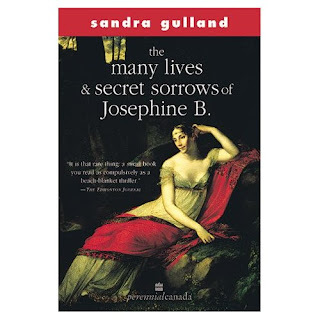 2nd Prize: Gently recycled copy of The Many Lives and Secret Sorrows of Josephine B. goes to: Jessica.marie! Congratulations to all the Winners!!! Please email me your address. Bonjour Everyone! So glad you dropped by! Follow me to the gardens where the rest of the ladies are enjoying my day of celebration in the fresh air. Even Bonaparte is enjoying himself (can you see him playing tag with Hortense? )…Ahh, what happy times! Now let’s get on with my Giveaway! You can enter all 3 giveaways!!! 3 chances!!! Leave a comment and Post about this on your blog linking back to here. Good Luck to all! I love these books, they're my favourite. And as for the charm, Thank You so much for this Joy. Cupids Charm creations are always so splendid. Please visit this stunning site if you haven't already- you'll be mesmerized. The winners will be announced on Thursday’s ‘Jeudi de Josephine’, June 25th. I'd like to invite you all this coming Tuesday to Josephine's Birthday Bash! I will be having a 3-Way Giveaway!! 2 Books Plus something special courtesy of Cupids Charm...!! 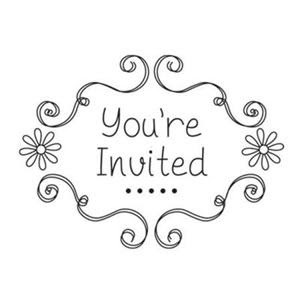 Please Join me on Tuesday, June 23rd. To all the wonderful Fathers out there- Know that you are loved, wanted, needed and extremely important. Happy Fathers Day!! Dilute the yeast in a cup with about 3 tbl. sp. of water. Put the raisins to moisten in some lukewarm water. In a large bowl, mix the flour with the sugar and salt. Dig in the middle to make a tunnel-like with the flour, so that you can place whole eggs, rhum and diluted yeast in that middle. When you’re to ready to fry, make sure the oil is very hot in the pan (175celcius). Gently drop the mixture by the spoonful, turning them gently only once (this will give you small golden balls). Remove and place on a large tray lined with absorbing paper to remove excess oil. Once they’re well dried, sprinkle some icing sugar on them and they’re ready to serve. Delicious! (I’ve already gained a few pounds just writing this). This fun-loving and absolutely charming princess, also named Henrietta-Anne Stuart was the daughter of Charles I (of England and Scotland) and of Henriette of France- and, most importantly, Henry IV’s (Henry the Great) granddaughter. This would also make her Louis XIV’s first cousin. She was of Royal lineage through and through. Today marks the birthday of this exuberant Princess who was born in England at the peak of England’s civil war. Shortly after giving birth to her, wasting no time, her mother who had no choice but to escape to France due to the political instability of England and persecution, leaving Henriette in the care of her governess, Lady Dalkeith, Countess of Morton. A few months after her birth, ‘Minette’ as she was affectionately called, was transferred along with her governess to London by force. Opposed to this, the gutsy governess, fearing for the life of the baby princess, dressed herself up as a villager and Minette as her baby boy -smuggled her way to France and into the Court of Louis XIV. Henriette was raised by the Sisters of the Visitation, where she was given a good Catholic upbringing filled with the riches of culture and fine education. At Court, she was never permitted to be distinguished as royalty though. Her poverty was such that her mother, the deposed Queen of England, had to sell most of her jewelry and best China just to survive. Despite the fact that she was a desolate forgotten princess, Henriettte’s spirit never plunged. Her fate finally changed when her brother became King Charles II of England after having re-conquered the thrown. She was very close to her brother and his ascension changed her life around. This time around, she was Princess Henriette the most- sought- after lady of the highest regal standing. Almost too royal to find a husband suiting her rankage, LouisXIV decided that she would be an excellent consort for his brother Philippe. Due to the Princess’ fun-loving character, amusing ways and innocent flirtations, much has been written about the alleged romantic relationship between Henriette and Louis XIV. Most of this is speculation though, and a lot of it has to do with the fact that Henriette’s husband had totally no interest in women. In fact, furiously outrageous fights were the order of the day between the married couple. Insinuations incurred bouts of jealousy- all because of Henriette’s natural tendency to popularity (especially with the King) infuriated Philippe who always needed to be the center of attention. Louis, on the other hand, really enjoyed Minette’s company and was openly affectionate towards her, but nothing past that. Being the sensitive man that he was, it may have been that Louis felt sorry for much of what the Princess had to endure. Especially since Philippe was overtly enamored with the Chevalier de Lorraine (who openly detested Madame) and would have done anything for him much to the demise of Henriette. How did it all end for this beautiful Princess? After returning from London, where she was instrumental in helping rekindle alliances between her brother and Louis, she was afflicted by horrible pains on her side. She had apparently started feeling sick after drinking some chicory coffee. Henriette died within minutes. She was only 26. They said it was peritonitis…although most people suspected poison. Nefertiti definitely stands out as one of the most beautiful and entrancing women of all times. Everything ever written on her sums her beauty as extraordinarily regal, aristocratic and enigmantic. Her gaze was magnetic and proud; she had an air that commanded admiration and total enrapture. It’s no wonder that this woman was able to move almost heaven and earth, so to speak…Her husband was totally bewitched by her. So far, ‘Nefertiti’ by Michelle Moran, has captured me in trance…a few chapters left of this engaging read. Look forward to a promising review very soon. I can’t recall when or if I’ve ever read anything historically factual that was this captivating. Here’s a history book that reads better than a novel. Truly, the life of Louis XIV is described in such vivid details that I couldn’t help being totally absorbed by this book. There is a section dedicated to practically every imaginable aspect of Louis’ life. Not only are the King’s numerous and lucrative achievements clearly explained throughout; the specifics of his attitude, beliefs, mannerisms, thought processes, creativity and more, unfold with such eloquence and sequence, it’s impossible to put this book down. Your curiosity passes from one topic to the other. Before you know it, you’ve read the whole book. Louis was a King who was completely in his element as ruler of his country. His total and absolute regality was totally natural for him; yet, he had the keenest of abilities for understanding people of all levels. Louis was also the brains behind much of the Versailles creation- he was a patron of the arts and was responsible for much of France’s grandeur. There was also a domestic side to Louis as well as a profound devotion to Catholicism; both of these aspects being more prominent towards the latter days of his life. I learned so much from this fact-filled book! 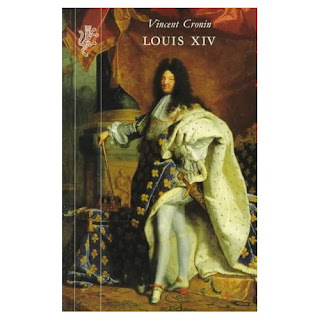 I highly recommend Louis XIV to anyone who is interested in learning more about this great King, his Court, his Ladies, and all that he influenced throughout history. This historical read surpassed all expectations. Excellent! 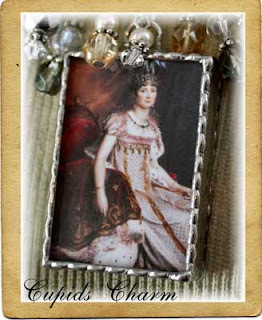 This Jeudi, I’m posting a beautiful sonnet for the Empress Josephine. I found it on this site (Famous Women: Sacred and Profane by Glen Levin Swiggett); where you’ll find a sonnet written for every great woman in history. There’s also one written on Marie Antoinette that I think is just so perfect. I have to say that although I’m fascinated by Josephine, I also adore Marie Antoinette, la Reine Martyre. Divorce and exile her to Malmaison. Such gifts as did him highly fascinate. Their baser humors to propitiate. She came to France, becoming soon a queen. When came her turn to ride the fatal car. Today I was inspired to write about a different kind of beauty pertaining to Venice; the breathtakingly splendid beauty of its Churches and Cathedrals. Throughout history, this great city where blissful pleasures of the senses were either decadent or sublime, laid the foundation of great spiritual sanctuaries where people turned to find peace, forgiveness or direction. All that you see and breathe in Venice is historical- a constant and abundant reminder of a time when La Serenissima was the heart and center of Europe. I was intrigued by that resonse and never quite understood it until I began studying Venice's history. Rather than posting about the obvious grand Cathedrals that many of you already know about, here are some pictures of Venice’s earliest churches. 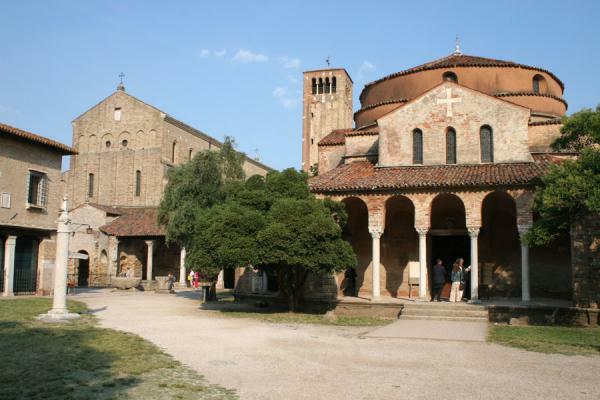 Cathedral of Santa Maria Assunta also built in the 5th century and, Santa Fosca, which was built in the 11th century. The two are connected by a portico. They’re in Torcello. Josephine -Marie Josèphe Rose Tascher de la Pagerie was born in Martinique. 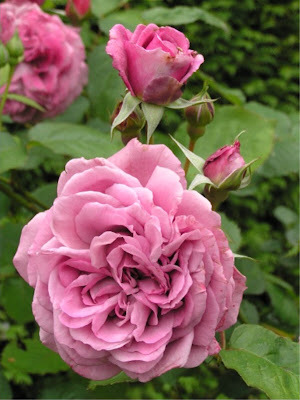 Josephine is often mistaken as being first and foremost French, when she was in fact a Creole. This is also the place where the prophecy that she 'would one day be Queen' was revealed to her. 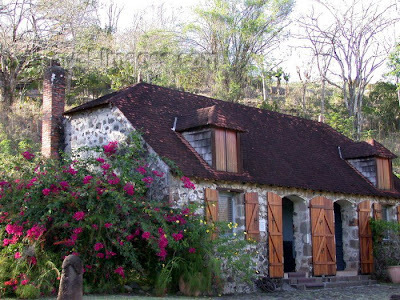 Here is a picture of Josephine’s house, where she grew up in Martinique. It’s now a museum. How did this lady who was literally raised in the staunchest of poverty, come to be Louis XIV’s secret wife? Françoise d'Aubigné, at the age of fifteen, was sent to Paris to be entrusted to the Ursuline nuns for her upbringing. In Paris, a year later, she was married off to Paul Scarron a 41 year-old (burlesque poet in his youth) whose body had become severely deformed and paralyzed due to rheumatoid arthritis. Nonetheless, Scarron managed to get himself appointed at the Court of Anne of Austria as a jester. He loved Francoise dearly and taught her many languages and even helped her open up her own salon. That was the extent of his money lending though, as he spent every last penny searching for a cure to his illness. Eight years later Francoise was left a penniless widow. Anne of Austria took pity on her when she saw that Francoise was a widow in dire need and decided to give her an annual pension. So, finally, how did this lady who seemed to have been struck with constant misfortune attract the eye of the Sun King? Word of mouth spread that she would be perfect to be governess of Louis’ children by Montespan. Disturbed by the nature of Louis’ relationship with Montespan, Francoise initially seeked counsel from her confessor who quickly advised her that whatever the King wished for, was approved by God (even an adultress liaison). From that point on, as long as it was Ok in God’s eyes, Francoise became a dutiful governess filled with a sense of loyalty to the King. Consequently, Louis bestowed her with the title of Marquise de Maintenon , after her estate. Francoise was a virtuous woman of duty, though ‘rather cold’, she was dedicated to her work and terrified by the wrath of God. Louis became attracted to this woman who fascinated him with her stories of youth, the way she brought up the children, her religious ardor, sense of order and judicious advice. When he finally broke off all ties with Montespan, it was Francoise who urged him to be faithful and loving to the Queen. In her clear, yet subtle ways, she convinced him to follow a more correct and virtuous path by staying with the Queen and remaining faithful to her. Somehow Louis was convinced; resulting in probably the best last few years of the Queen’s life. 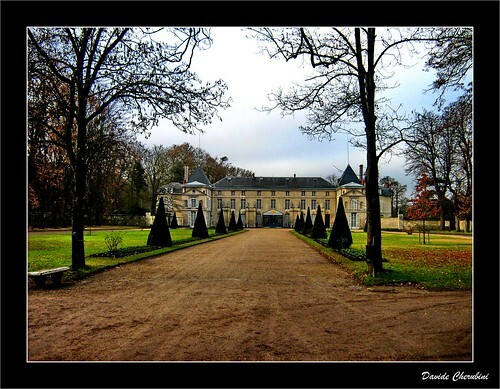 For this, the Queen was forever grateful to De Maintenon. 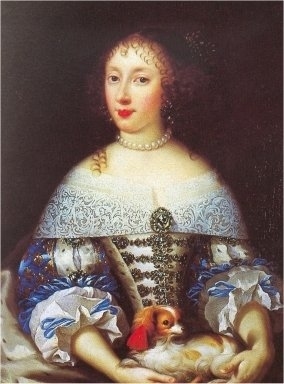 After the Queen’s death, Louis became more and more drawn to Madame de Maintenon, until he fell deeply in love with her. At this point Louis found her irresistible and due to his Bourbon temperament, made every attempt to ‘conquer’ her. This is where Francoise was different from all the rest: She made sure to decline his invite since sleeping with a man other than one’s husband, even a King, was to her most sinful. In 1684 (this is an approximate date deducted by Maintenon’s own letters), a morganatic marriage took place. Louis and Francoise were secretly married (He was 45 and she 48). This was never publicly announced and although there was constant speculation in the King’s court, noone could say for sure. She became a source of sage wisdom for the King, who respected her opinion in many ways. Madame de Maintenon did not always agree with the ways of the court. Although Louis did not make such a big deal about flamboyant behaviours of others, Madame de Maintenon frowned upon much that was going on around her at court. She was extremely prudish and would find even the Opera a sinful form of art. She did not particularly like to attend this event, even though this was Louis’ favourite form of entertainment. Fortunately the King had mellowed with age and his love for the lady helped overcome their obvious differences. This Teaser Tuesday came my way courtesy of The Burton Review. I didn’t get to this part yet…so I’m quite curious about what's happening here. My Enemy The Queen is the book that we’ve chosen to read for this month of June at our Plaidy’s Royal Intrigue blog. If anyone has this book and would love to join our group, just come by and drop us a line. The more the merrier!